Designed to hold a full box of regular tissue and blend in with your decor. Conceived years ago out of frustration with boxes that made it difficult to retrieve tissues near the bottom of the box. Tissues always pop up, even the last ones. 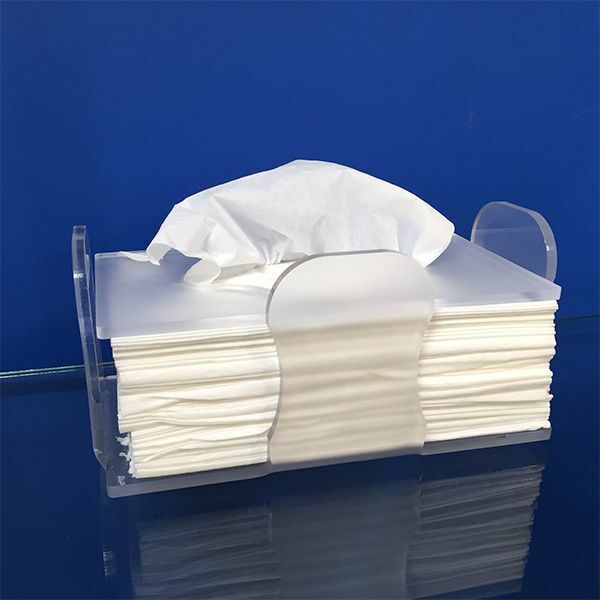 Easy to refill with any color of tissue. 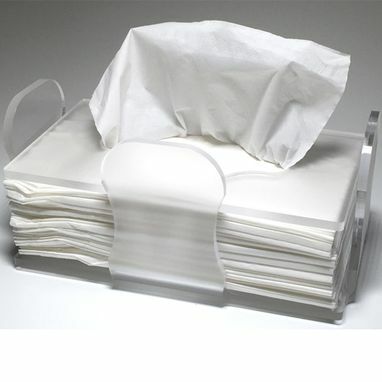 Loaded with white tissue. With clear bumpers protect all surfaces. Signed on the bottom. Gift box included.